Did you know that 82% of companies report saving money by utilizing cloud services? The reason this is possible is found in data centers. 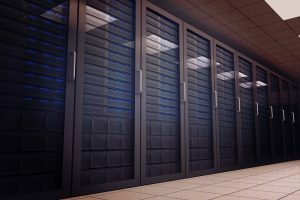 The cost of running a server in an improperly cooled office building can be much higher than these specialized and technologically advanced data centers. Using cloud services can also provide much quicker speeds as a result of the elevated processing power and storage space in data centers. But how do they do this? Every song you’ve ever listened to online, every document you’ve written, and every picture you’ve ever taken is stored somewhere. Sometimes you keep data on your own computer, sometimes you upload it to ‘the cloud’. Though it sounds fluffy and ethereal, the cloud is actually comprised of a series of servers in a string of data centers worldwide. These servers store your data and broadcast it back to you. The gritty details aren’t all too exciting, but the entire internet is basically propped up by data centers and utilized by the public. There is one constant issue though. Servers get hot. Very hot. It’s just like when your laptop has been sitting on your lap for too long while you were blocking the fan, but much hotter. Ultimately, if servers aren’t properly cooled, they break. An additional concern for data centers is the cost of cooling systems. Energy expenditure in a data center is high enough for servers alone, but keeping them from overheating is quite another issue. Luckily new efficient cooling methods are always being developed. Some of the most notable recent innovations are cold aisle containment systems. They work by enclosing the servers in a cold area of the data center. The heat from the servers is then pumped out into the room at large if it is not contained. The main benefits of cold aisle containment systems are efficiency and control. Since air is pumped directly into the cold aisle, you can control airflow levels and temperature on demand. Also, seeing as you aren’t attempting to cool an entire data center, you will see a drastic reduction in energy consumption. If you are considering retrofitting your data center, cold aisle containment is one of your best options. If you need any guidance in either building your first data center, or retrofitting your current one, don’t hesitate to contact us to learn more about the latest technology.